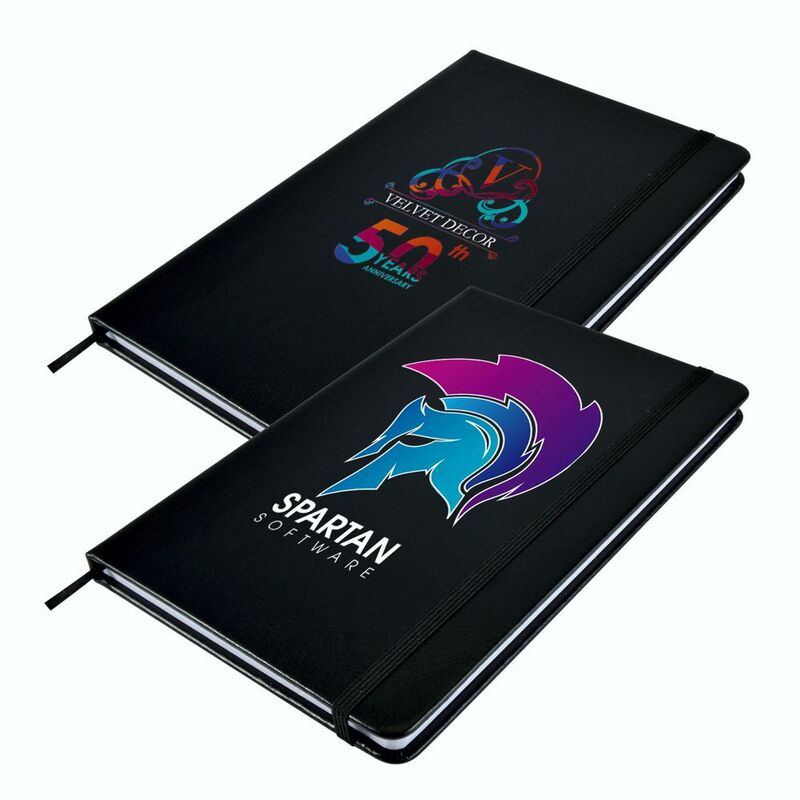 A5 black PU notebook with black elastic retaining closure and ribbon page marker. 96 lined white pages (70gsm). Full colour print on cover.